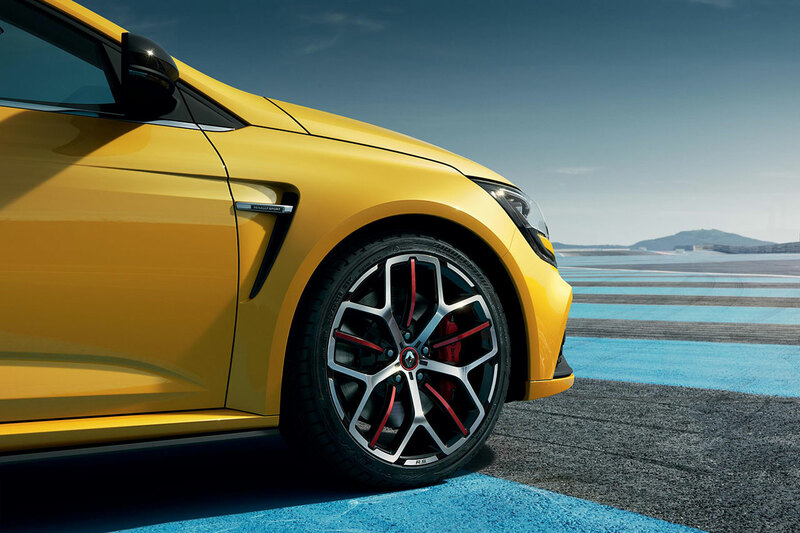 Performance car enthusiasts can look forward to even greater performance and more dynamic design, as the New Renault Mégane R.S. 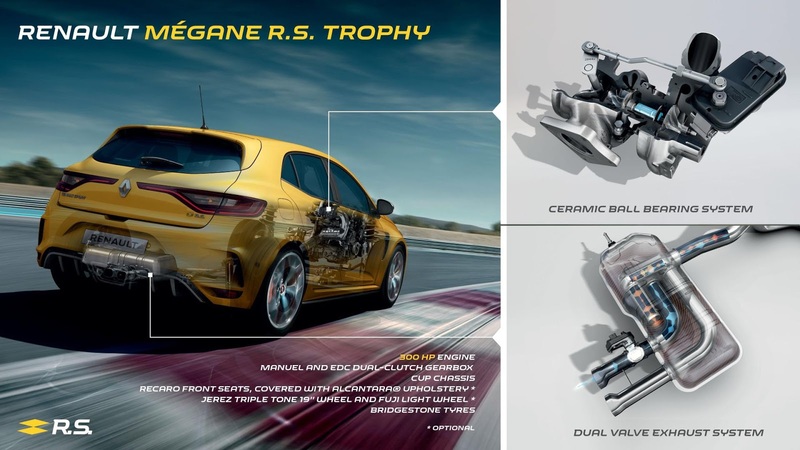 Trophy boosts the Renault Sport line-up by extending the family of Trophy versions produced since the first generation of Mégane R.S. New Mégane R.S. Trophy debuts a brand-new version of the 1.8-litre turbo engine, delivering increased power output of 300hp – the first time a R.S model has produced this level of power – and torque of 420Nm. The significant rise in power is largely thanks to the use of pioneering technologies, especially for the turbocharger and exhaust system, which again are firsts in the new Mégane R.S. Trophy, including the ability to alter the engine note. This new engine can be combined with a six-speed manual or six-speed EDC (Efficient dual-clutch) gearbox. 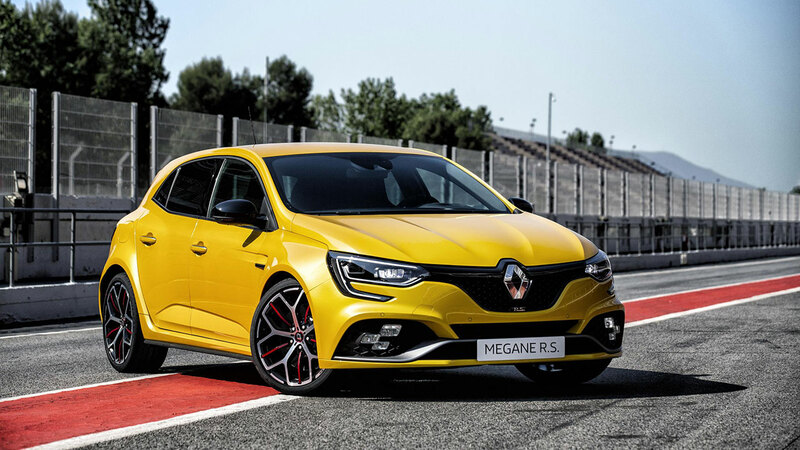 Together with the new power unit, a host of additional performance-focused features differentiate the Renault Mégane R.S. Trophy from the standard Mégane R.S. Based on the Cup chassis, which boasts stiffer suspension and a Torsen® mechanical limited slip differential, the Renault Mégane R.S. Trophy is further enhanced with bi-material front brake discs, specific 19-inch ‘Jerez’ alloy wheels and high performance Bridgestone tyres, which can be paired with new, exclusive lighter wheels that reduce total unsprung weight by 8kg. For increased support, and also exclusive to the New Mégane R.S. Trophy are optional new Recaro front seats, covered with Alcantara® upholstery and positioned 20 mm lower for a greater driver experience. 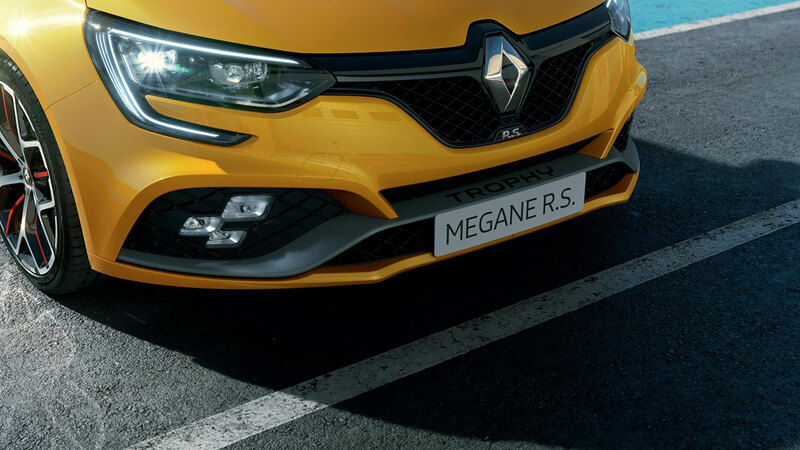 Available in the iconic Liquid Yellow that is synonymous with Trophy models, the New Mégane R.S. 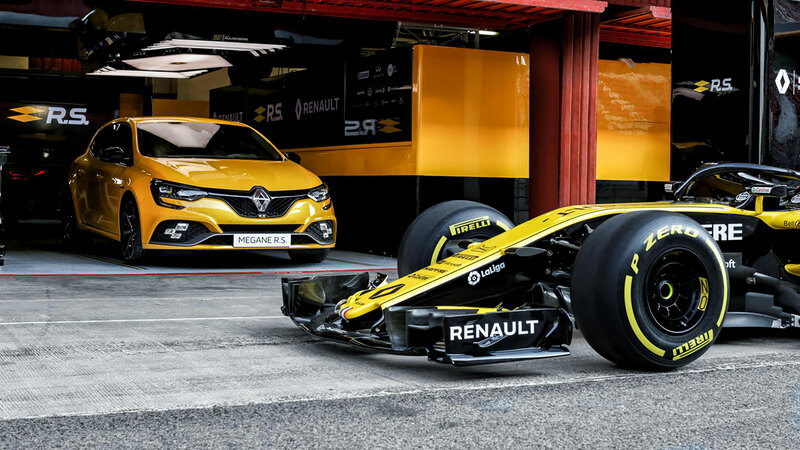 Trophy is further identified with Trophy stripes added to its F1-style front spoiler. Naturally, the latest and most powerful R.S ever benefits from the advanced technology and Renault Sport innovations that already exist in the Mégane R.S, including the 4CONTROL four-wheel steering system and four hydraulic bump stop shock absorbers.